with a Full-Featured Virtual Phone PBX Option? The definite answer is yes! Is A Virtual PBX Option or Solution Right For You? The definite answer is maybe! If you're in the market for an Internet Fax Service you may want to consider going with a fully-loaded Virtual PBX system instead. PBX which stands for "Private Branch Exchange" and it is used by many business to handle all their internal/external phone communications including fax. These PBX systems are usually automated to handle all calls coming into your company. It is essential office equipment for the smooth running of any business, both small and large. Now, with the introduction of Voip and virtual phones, we have seen the debut of Virtual PBX systems, that can handle all your business phone services through or over the Internet. Your PBX Service is hosted online. A virtual PBX service can save you money, especially on start-up costs, since there is no hardware to buy or maintain - everything is done online. As you can plainly see this is a fully-funtional Phone service which will enhance any business, big or small. When you consider that RingCentral's lowest monthly plan starts at $9.99 - you have an attractive option to consider if you're looking for a phone/fax service for your business. One of the major reasons, any professional business person or small business owner, should go with a Virtual PBX system has mainly to do with projecting a professional business image. With a PBX system your small company can project a "BIG" company image to all your potential customers and clients. Besides, making a good "First Impression" is vital to operating a successful business and a Virtual PBX service like the one offered by RingCentral will go a long way in cementing that first impression. If you're looking for an online fax service, you should check out or consider getting a full Virtual PBX service instead. 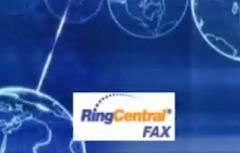 RingCentral Office is a complete cloud-based phone system for small businesses. $24.99/mo. per user This is an all-inclusive price. There are no add-ons. What's Included with RingCentral Office? What are key RingCentral Office differentiators?